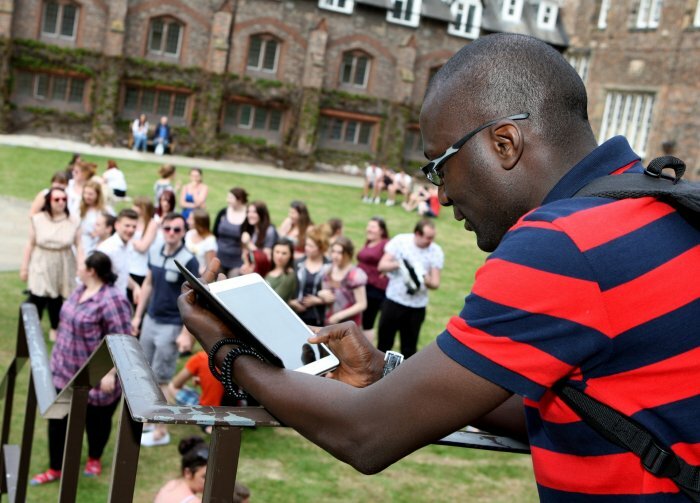 In an environment where prospective students’ decisions about their education are based increasingly on rankings and league tables, considering how to engage final year students and graduates in completing feedback for measures such as the National Student Survey (NSS) and Destination of Leavers from Higher Education (DLHE) survey has become an important concern. Also critical is reiterating to those about to graduate the value of a creating and upholding a professional digital presence and maintaining contact with the university once they graduate. These are not necessarily areas that naturally spring to mind as going hand in hand but together they form the basis of a new approach trialled at Brighton Business School (BBS). Designed initially to boost responses to DLHE (soon to be renamed the Graduate Outcomes survey) and recently adapted to increase participation in the NSS, the project provides the grounds for maximising student/alumni-business school relationships. Recent statistics show that 57% of recruiters are less likely to interview a candidate they cannot find online. Further, 70% of employers use social media to screen candidates, up from 11% in 2006 (Salm, 2017). In response, a compulsory final year module on successful and effective management at BBS, has evolved to include a focus using LinkedIn to create an online professional identity. This helps students articulate the skills, competencies, and knowledge needed for their first steps into work after graduation. The module requires students to complete a series of reflective online learning journals. Following the submission of their last entry, students are provided with feedback from the module leader in one of three formats: a recommendation posted on their LinkedIn profile if they are connected; a personalised invitation to connect if they have an existing profile; or suggestion to set up a LinkedIn profile. Those without a LinkedIn profile or those looking to improve and enhance their existing one are directed to a post on the school’s final year blog which contains useful guidance on what a profile should contain, plus they are invited to attend any of the LinkedIn workshops developed by BBS’s Employability Hub. This action has seen positive results: in 2017 and again in 2018 67% of the module cohorts who did not have a LinkedIn profile at the time of submitting their last learning journal created one. (Name)’s degree course has provided her with the opportunity to develop a wide range of skills and knowledge to prepare her for the future. During her final year she was part of team of final year students who designed and delivered a development centre aimed at supporting first year students prepare for summer internships or placements. I wish her every success in her future career. This is very well-received by students, thereby creating a positive feel-good factor at the same time as boosting their LinkedIn profile. These simple steps can lead to further positive impact. Regular use of LinkedIn and, in particular, completion of as many profile areas as possible, including endorsements and recommendations, drives students’ visibility on the site thereby increasing the likelihood of them appearing in recruiters’ candidate searches. Direct feedback from lecturers and tutors also serves to highlight the skills and competencies students have developed during their studies. In support of the last three DHLE surveys, using LinkedIn connections to contact non-respondents has increased the number of questionnaires completed by former BBS students. In light of the importance of NSS satisfaction metrics, the module was redesigned this year in order for the timing of profile recommendations to coincide with the NSS period. Given that the feedback and recommendation process belonging to this module would happen anyway, it seemed a logical conclusion to align two periods of time where feedback was submitted: lecturer-student and student-NSS. With approximately 300 students undertaking the module each year, the conscious decision to capitalise on the feel-good factor surrounding this intervention will hopefully lead to increased school performance in the NSS. Increased undergraduates’ and staff use of LinkedIn also combines to improve eventual alumni relations. This is a straightforward way of keeping in touch as well as encouraging alumni to support the undergraduates following in their footsteps, even if it is by something as straightforward as accepting a connection request or responding to questions about their job role or company. Simultaneously, we continue to promote the value of LinkedIn and build on the ability to maintain positive relationships with our alumni by responding when they post a job change or significant event. Dr Clare Forder is a Deputy Industrial Placements Officer and Julie Fowlie is a Deputy Head (Learning and Teaching) at Brighton Business School, University of Brighton.